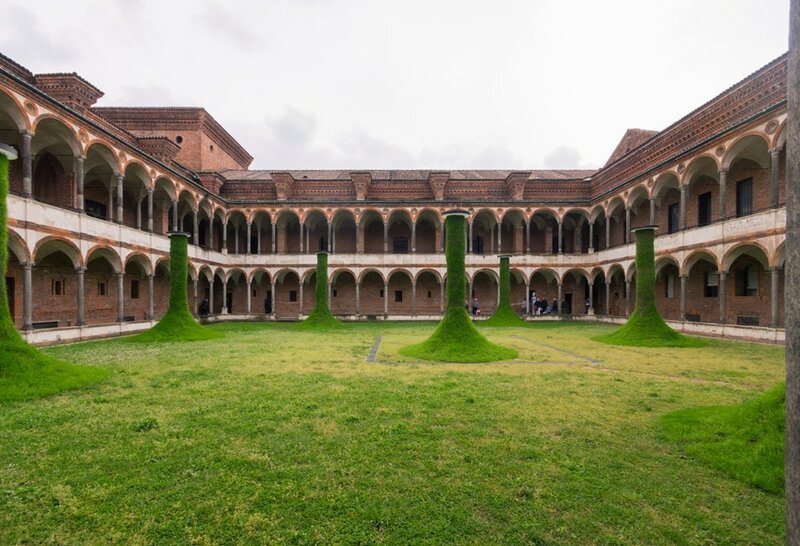 During the Milan Design Week 2019, Brazilian design firm Estudio Campana (led by brothers Fernando and Humberto Campana) transformed a cloister of the Statale University palace in Milan into a large grass-covered installation. 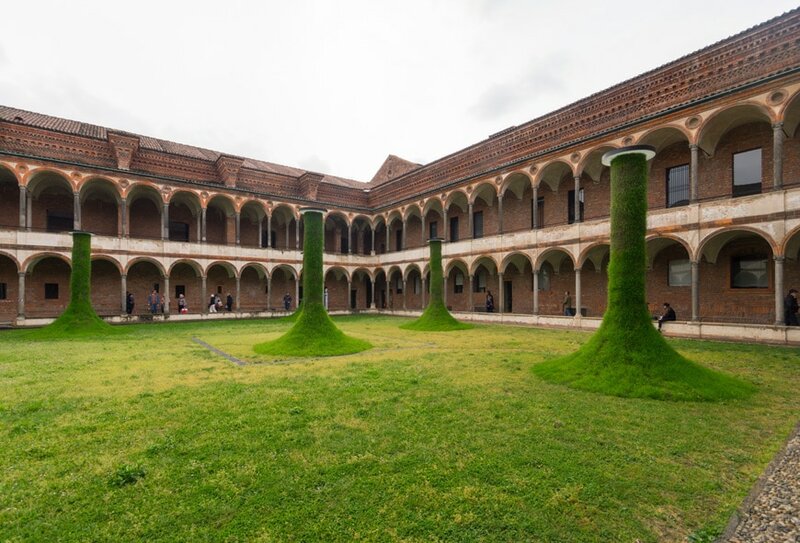 The installation, entitled “Sleeping Piles”, consists of seven grass covered columns, whose form is inspired by the Renaissance-style architecture of the cloister, designed by architect Filarete in the mid-15th century. 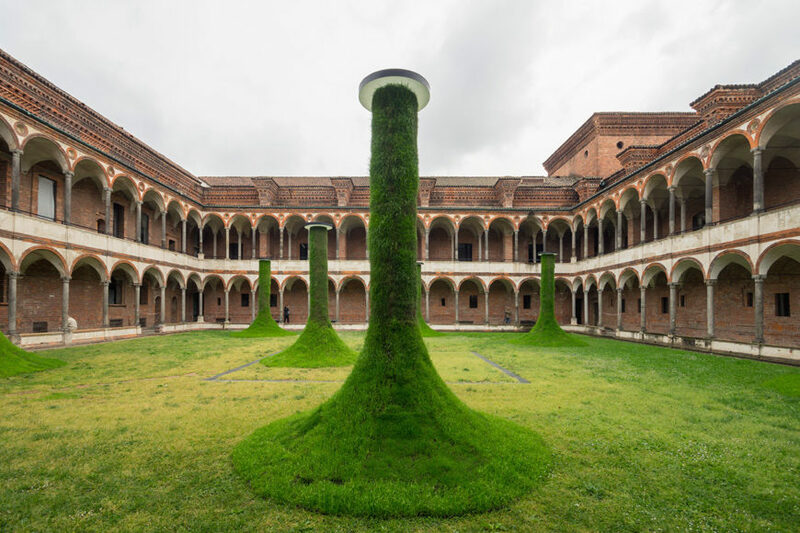 As the Campana brothers say: “Seven towers five meters in height, entirely covered with grass, rise at the center of the cloister to reproduce – in reverse – the volumes of the colonnade and the arches. 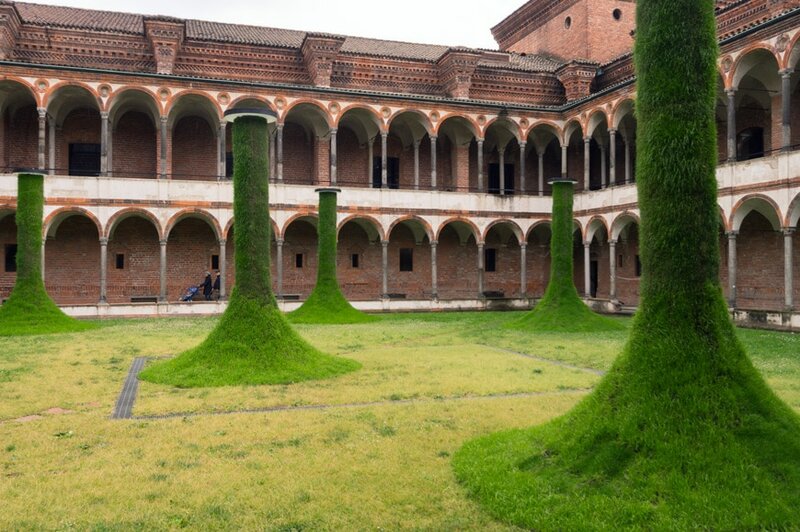 A provocative work that suggests the reversal of the relationship between constructed and natural spaces”.